A roundfish that lives in a moderate and subtropical climate, at a depth of 20 to 300 metres. It feeds on small fishes and other marine animals. It can even grow up to 75cm. 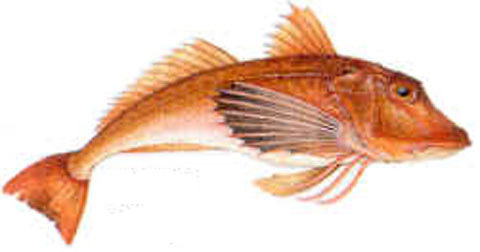 In Dutch cooking the gurnard is not yet so very well known, but but there is more and more variation with it. Due to its beautiful, smooth flesh and its full flavour it is excellent as a main course. Gurnard grilled on the barbecue also tastes excellent!